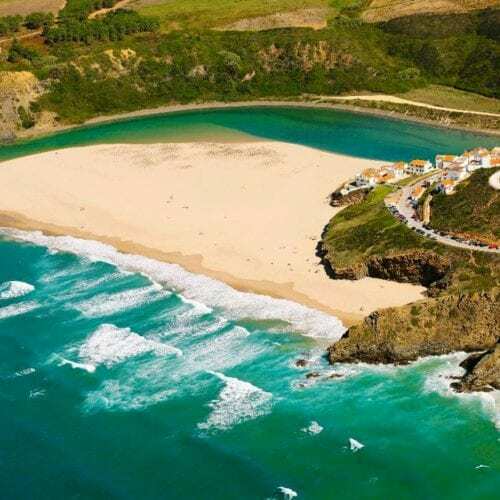 The country’s best known holiday region boasts over 3000 hours of sunshine a year and is well known for its golden sandy beaches and over 30 golf courses with year-round playing. 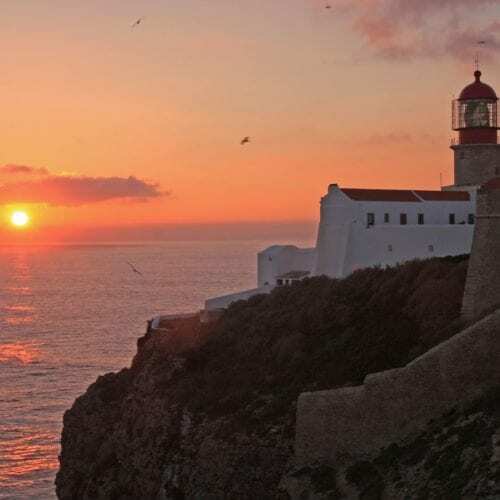 The Algarve Coast stretches from Cabo São Vincente (the most south-westerly extremity of Europe) to Vila Real de Santo Antonio on the Spanish border. Despite its many tourist resorts however, travel 30 minutes inland and you will enter a world of quaint villages, Moorish castles and market towns, where orange groves and almond blossom flourish; whilst the coast itself offers pockets of extraordinary natural beauty such as the rugged beaches of the Costa Vicentina Natural Park which are popular with surfers and naturalists; the Ria Formosa Estuary and its maze of channels separated from the sea by a strip of sand located in the very centre of the province; as well as the fauna and flora rich marshlands of Castro Marim and Vila Real de Santo António. Generally, the sunny Algarve coast (south and west) is the perfect location for family holidays and for practising water sports. Surfing is particularly popular along the west coast, but many surf schools offering individual or group lessons will also pick you up and drop you off from other locations along the Algarve, depending on the size of your party. 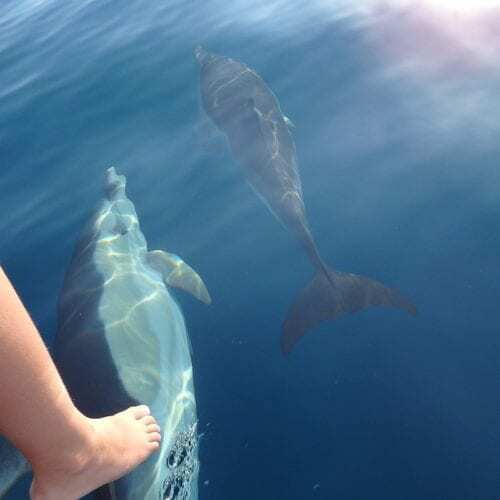 At the western end of the Algarve between Sagres and Lagos, it is also possible to see dolphins and whales with specialist companies and kayaking in and out of the coves at stunning Ponta da Piedade, is a must. The bustling marinas of Lagos, Portimão, Albufeira and Vilamoura offer a number of sailing, diving, deep-sea fishing, motor and sailboat cruises experiences. Whilst golf courses and tennis clubs abound in the whole Algarve region, there is also a range of jeep safaris, horseback riding centres, clay pigeon shooting, lawn bowling or micro-light flying experiences to choose from. The southernmost point in Europe, Cabo São Vicente was once considered the end of the known world. On the 15th century, Prince Henry the Navigator set his naval school here and the first caravels that travelled and explored the new world set off from Lagos bay. The cape and its lighthouse are now a landmark for ships travelling to and from the Mediterranean. The dramatic and wild scenery with jagged cliffs rising 60 meters up from the ferocious seas, fishermen hanging precariously from the rocks and seagulls floating on air currents high above, make for some fantastic photographic opportunities. But also stunning and well worth planning to stay for if you are visiting, are the sunsets seen from these rocks. If you fancy getting away from the hustle and bustle of coast for a day, the old Moorish capital of the Algarve Silves with its castle and 12th-century cathedral provide a pleasant couple of hours of exploring. 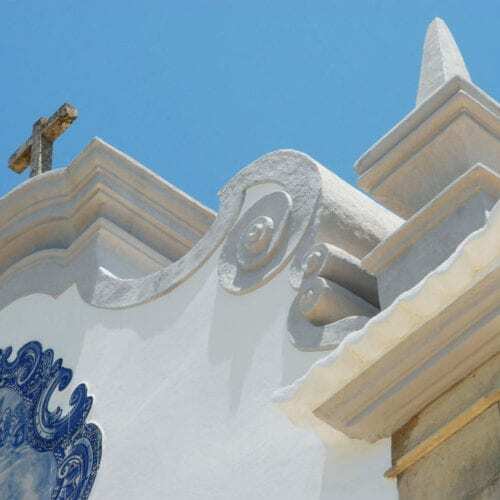 On leaving Silves, drive uphill to Monchique for a “chicken piri-piri” lunch (the regional speciality) and then as far as Foia the peak of the Monchique mountain range, which at 900 metres is the highest point in the Algarve. From here, on a clear day, you can see across the province to the Atlantic Ocean. Silves also hosts a number of different festivals throughout the summer months. 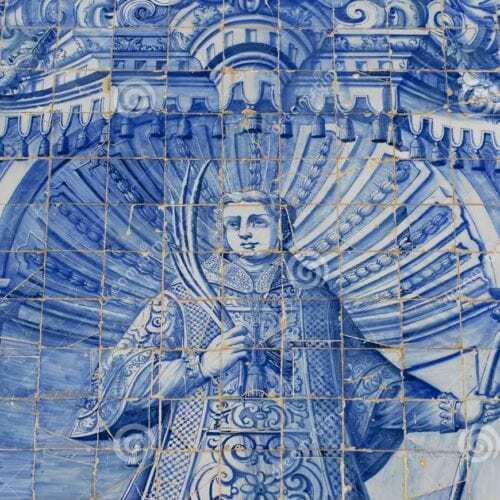 On the hedge of Almancil, the beautiful church of São Lourenço dates back to 1730 and its walls are decorated with the characteristic blue tiles, which tell the story of its patron saint. A stone’s throw from the church is the local cultural centre, which for many years has hosted a range of art exhibitions and musical performances. At the waterfront of the old fishing town of Olhão you can get a water taxi or ferry to one of the six outlying islands of the Ria Formosa estuary. Armona, Culatra, Farol or Deserta specially deserve a visit and offer great expanses of sand and clear warm waters with some low key beach bars; alternatively take your own picnic and while the day away!